Sewer backups are a problem home owners hope they never have to encounter. Unfortunately, it can often be out of their control. There are, however, preventative steps residents can take to limit physical property and financial damage during such an event. A couple ways to reduce or prevent backups include installing a backwater valve on the residential line or placing a plug over any basement drains. If necessary, the residential sewer line, which is solely the home owner’s responsibility, may need to be cleaned out. If such steps are not taken, then it is important to avoid placing valuable or cherished items on or near the basement floor that could be damaged by a sewer backup. The main sewer lines are the City’s responsibility, but a backup caused by a problem on the main does not automatically mean the City is liable. This includes unforeseeable events such as a heavier than expected rainfalls. Because of such scenarios, residents need to make sure they are properly covered with their homeowners or renters insurance policy. 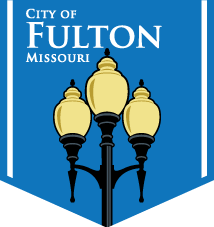 If a resident wants to make a claim for damage due to a backup, contact the City of Fulton at 573-592-3111. The City will then contact its insurer and have an adjuster contact the resident as soon as possible. The City’s insurer will then evaluate the circumstances of the backup and make a liability decision. It is also important to take many photographs of the damage before and after the water and sewage is removed. – Remove all wet items from the basement. – If the sewage affects motors in a furnace or appliance, contact a reputable repair service to remove the motor and have it dried. – Wash down concrete or tile floors with fresh water and then wash with a strong germ killing and odor killing solution. – Items that have finely machined parts, such as sewing machines, should be immediately taken to a repair shop for cleaning and oiling. – Items inside a wet box should be removed and dried with the box being thrown out. – Wood furniture should be thoroughly dried and wiped with an appropriate wood polish. – Wet paper items should be placed outside to dry or disposed of depending on the value. -Dry the basement through ventilation. Use a floor fan and a dehumidifier. Both can be rented from area rental shops.